Filing HMRC VAT returns online is one of those things that has traditionally had a reputation amongst small business owners as being a bit of a headache. Not to mention that completing and submitting a VAT return can be daunting, especially if it’s not something you’ve done before, which is why KashFlow makes the process very easy. 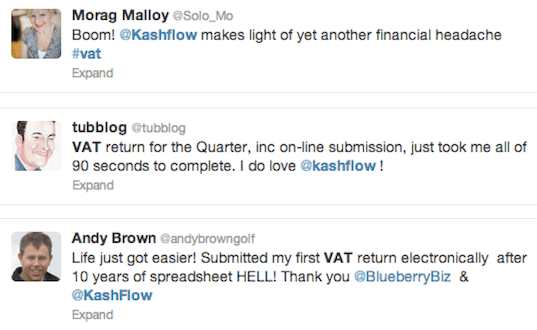 KashFlow is recognised by HMRC for online filing of VAT returns, and you can submit your VAT return from within the software! After enabling online filing in the Settings area and entering your HMRC Government Gateway user details (more on those here), it’s simply a matter of running the VAT Report within KashFlow and clicking Submit. Once that’s done, we submit all the relevant information to HMRC and that’s your VAT return done! Oh, and there’s no need to fret about whether or not everything’s worked ok, because you’ll receive an email to confirm that the submission has been accepted. 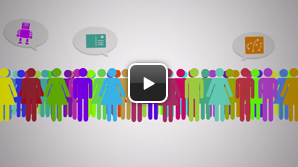 Need to check out data relating to previous VAT returns? No problem – in KashFlow you can view all of your previous VAT returns, and details of the transactions that were included. KashFlow can also display how much money you’ll need to pay your next VAT bill – this figure, and when your current VAT period ends, is displayed on the Overview screen of your account. If you need to make manual adjustments to your VAT calculations, you can do this in KashFlow by using a journal or making adjustments to individual receipts and invoices. KashFlow caters to a number of different VAT schemes – Standard/Accrual, Cash Accounting and the Flat Rate Scheme – and, whichever scheme you use, KashFlow makes online HMRC VAT submission a quick and painless process for small business owners!